Galvin was one of the better pitchers of his day, racking up 365 wins and once striking out 363 batters in a season. In 1889, while paying for the Pittsburgh Alleghenys, Galvin shot himself up with something called Brown-Séquard Elixir, which was basically an potpourri of testosterone extracted from the testicals of guina pigs and dogs. Brown-Séquard Elixir was developed for life extension. However Galvin claimed it also helped him pitch and he beat Boston the day after using the substance. Yes, Galvin was completely open about his use of the elixir and, at that point, nobody in baseball seemed to care. Testosterone-based enhancers remained a part of the game into the 20th century. One of the theories on the famous “bellyache” that put Babe Ruth in the hospital for seven weeks during the 1925 season is that it was triggered by a bad reaction to a concoctions made from sheep testicles that the Bambino had injected himself with. It is also alleged that Mickey Mantle’s late season swoon during his historic 1961 season came after an abscess developed on his arm where he was injecting a performance enhancing cocktail of steroids and speed. Tom House, who pitched in the Major Leagues for most of ‘70s, has since admitted to taking steroids and claims a good chunk of Big League hurlers were also taking either steroids or human growth hormones during that time period. But an even more prevalent performance enhancer throughout baseball history, it would seem, was amphetamines. During World War 2 speed had been used to help improve the focus and endurance of soldiers. When the soldiers came home and talked of the drug’s effect it was only natural that athletes would begin experimenting. Hank Aaron, Mike Schmidt and Goose Gossage are among the Hall of Fame players who coped to taking amphetamines, although Aaron and Schmidt said they just did it a couple times and didn’t feel it was helpful. There have been many accounts of “greenies” (slang for amphetamines) being readily available in Major League locker rooms during the ‘60s, ‘70s and ‘80s. Although baseball was fully aware that many of its players were using amphetamines, they weren’t officially banned from the game until 2005. During the 90s an explosion in offensive number (and in explosion in the head and body sizes of certain ball players) led to suspicions that players were taking powerful and steroids and human growth hormones. In his 2005 book “Juiced” Jose Canseco admitted to taking steroids during his career and also fingered many of the best players for his era, including Jason Giambi, Rafael Palmeiro, Juan Gonzalez, Ivan Rodriguez and his Bash Brother Mark McGwire. Although Canseco’s credibility was questioned initially everybody Canseco had called out in print has since either admitted to taking PED or has been linked to them in legal documents. In reaction to Canseco’s tell-all and accusations and allegation that the nutritional supplement company BALCO was selling steroids and other performance enhancers, a Congressional hearing was convened and players were called upon to testify. McGwire famously refused to answer questions and Rafael Palmeiro vehemently denied taking steroids, only to have it later revealed that he had already failed a steroid test (he was in the process of appealing the results) when he took the stand. The next year MLB asked former Senate Majority leader George Mitchell to look into steroids. The Mitchell Report named 89 players who had connections to steroids or other performance enhancing drugs. Among the players named were all-stars Barry Bonds, Jason Giambi, Kevin Brown, Gary Sheffield, Roger Clemens, Eric Gagne, Lenny Dykstra, David Justice, Miguel Tejada, Andy Pettite, Matt Williams, Chuck Knoblach, Jose Canseco, Troy Glaus and Juan Gonzalez. 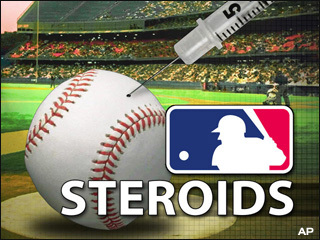 The Mitchell Report also concluded that players had begun avoiding traditional steroids, which had been banned in baseball since 1991, for similar substance that weren’t technically against the letter of baseball’s law but would achieve the same performance enhancing effects. Stating the report was a call to action, baseball commissioner Bud Selig beefed up baseball random testing regime and added these new substance players were taking — including human growth hormone — to the banned list. 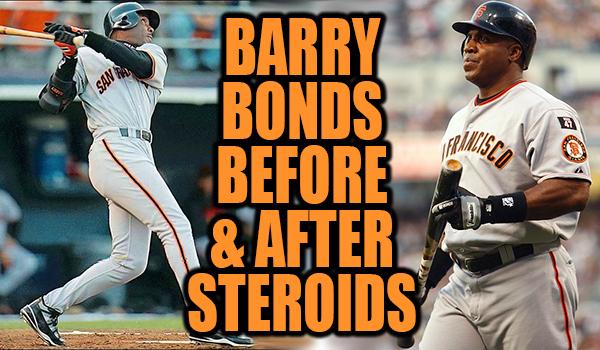 Baseball’s next steroid crisis came in 2007 when Barry Bonds broke Hank Aaron’s all-time home run record. Because of Bond’s connection to steroids — in particular BALCO — many baseball fans and writers believed his record wasn’t legitimate. Commissioner Bud Selig gave credence to this point of view by conspicuously not attending the game in which Bonds broke baseball’s most famous mark. In 2007 Bonds was also indicted on charges of perjury and obstruction of justice for lying to a grand Jury about his involvement with BALCO. He was convicted of the obstruction of justice charges in 2011, Despite putting up the best statistics of any hitter since Babe Ruth Bonds was not elected to the Hall of Fame in his first year of eligibility. Steroids and other performance drugs again came to the forefront in 2013 with the Biogenesis scandal. Baseball accused the lab of providing players with banned substances and sued to get access to their records. Eventually, through leaked documents and player interviews, MLB was able to accumulate enough evidence to give 13 players suspensions of 50 games or more. Ryan Braun, who had c0me up positive for for testosterone after his MVP season of 2011 but beat the test on appeal, was given a 65 game ban, which he accepted. Alex Rodriguez, who had admitted to taking steroids during his 2003 MVP season and who had been feuding with MLB over PED allegations for the previous few years was slapped with a 211 game suspension — the longest non-lifetime ban in MLB history. Rodriguez appealed the suspension and was allowed to play during that process. In January of 2014 A-Rod had his day in court and an arbitrator reduced the ban to 162 games. None of the other suspended players, including all-stars Nelson Cruz, Everth Cabrera and Jhonny Peralta, appealed their 50 game suspension. Peralta was able to return to his team, the Detroit Tigers, for the 2013 post season. 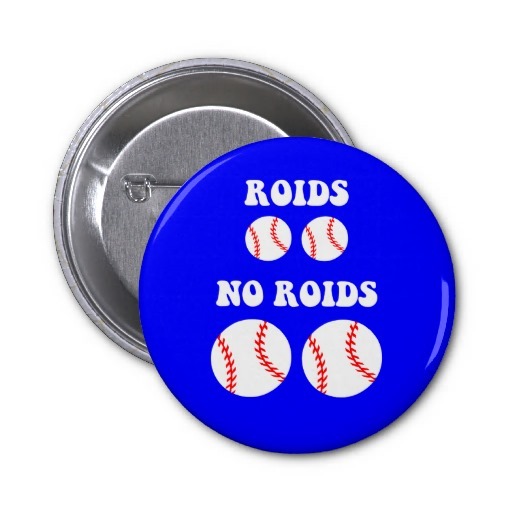 Many believe that the Biogenesis suspensions are a turning point in baseball’s fight against steroids and other performance enhancing drugs. Not only was MLB able to suspend high profile players without actual positive tests but their wasn’t much resistance from the player’s association, suggesting that most Major Leaguers are sick of the guilt-by-association the so-called steroid era has cast upon all of them, and desperately want the sport to be perceived as clean. However it is almost a certainty that there will still be future controversies about steroids and other performance enhancing drugs. Maybe some day the debate will be whether baseball should allow genetic enhancements, with some arguing that designing your genes so you can hit a ball harder really isn’t that different than laser eye surgery or Tommy John surgery, which actually improves many pitchers’ fastball. As humans figure out new and better ways to improve themselves maybe baseball and other sports will have to accept that such enhancements are now part of the human condition and not something that can be banned or punished. In other words go back to the days of Pud Galvin, when nobody cared if you wanted to shoot yourself up with dog testosterone.